PLEASE NOTE: The game was designed with features that are best used with CHROMECAST!Ever have a tough time deciding who’s going to be the banker? 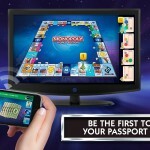 If you need an innovative, new way to play your favorite board games, then you’re going to love this. 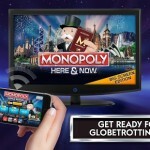 The NEW MONOPOLY HERE & NOW: Big Screen Edition app takes the board game outside the box. Download the game app and watch as the animated, 3D board and game pieces come to life as you play your way around the world. Gather your family or friends and get ready for this globetrotting spin on a classic board game. 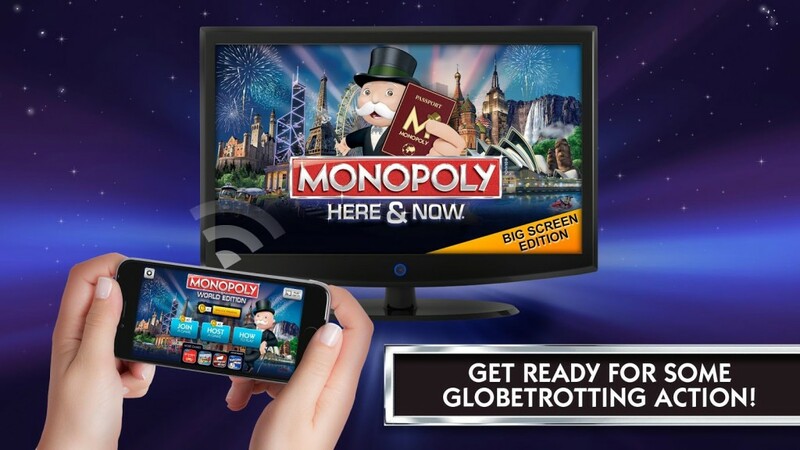 Download the MONOPOLY HERE & NOW: Big Screen Edition app today and try it for free! 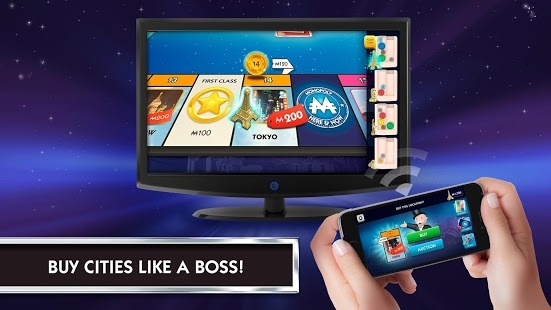 Pay once to unlock unlimited play! 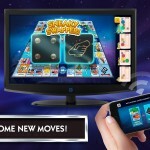 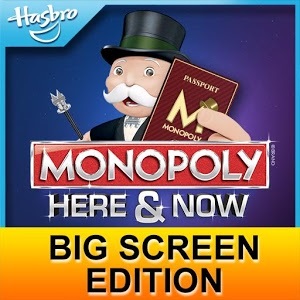 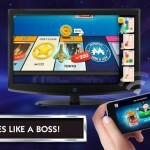 • Each player must have the MONOPOLY HERE & NOW: Big Screen Edition app installed on their device. 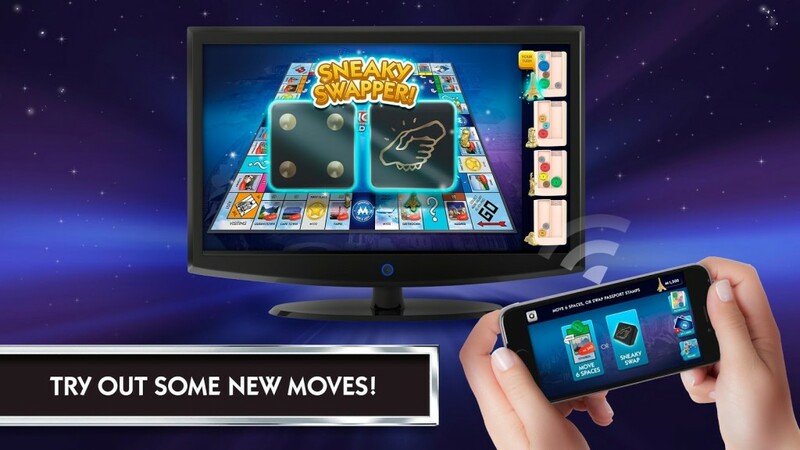 • Select your choice of tokens, buy properties and stockpile your money. • Fill your digital passport by collecting property stamps. 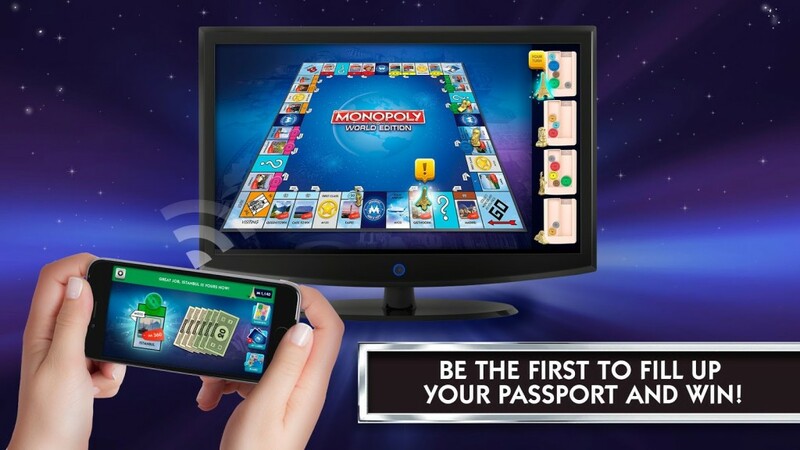 TAKE THE MONOPOLY HERE & NOW: BIG SCREEN EDITION APP WHEREVER YOU GO!